We are amidst an ever-growing ‘Social revolution’ with billions of active social network users today. Why has this social phenomenon captured the world? The key lies in the innate need of human beings to be acknowledged or approved by others. Employees are no different. Numerous studies have revealed that recognition is a key lever to engage and retain employees and “feeling unappreciated” is one of the top reasons behind employee attrition. In fact, several organizations explicitly include ‘recognition’ as an integral part of the EVP. Even at places where it is not called out directly, organizations do have recognition programs linked to the culture and standards of performance. In a Gallup workplace survey in 2016, the data revealed the most memorable recognition comes most often from an employee's manager (28%), followed by a high-level leader or CEO (24%), the manager's manager (12%), a customer (10%), peers (9%) and "Other" (17%). It is evident that an organization’s management, right from leaders to immediate supervisors, plays an important role in establishing a culture of recognition. This article elucidates formal and informal work practices that drive strong recognition. HR teams must aim to institutionalize these essentials by facilitating & partnering with business leaders & managers. The starting point is to establish ‘what’ to recognize. This needs to be identified at two levels – one is at an overarching organizational level and the other at a team/function level. An organization typically has a set of ‘ideal’ behaviors flowing from the values, mission, and vision of the company that defines the culture. Many organizations typically have tiered annual recognition programs that facilitate the gathering of success stories based on organizational principles. Apart from culture, organizations also have formal recognition programs for outperformance at a team or individual level. It is critical therefore for team/function leaders to further clarify specific goals and behaviors that will be rewarded. For instance, in some teams, the ability to innovate and conceptualize new ideas/products may be critical whereas, for others, standardization and cost optimization may be important. Whatever be the condition, every individual must understand and internalize the key aspects that are expected and recognized in the job. Leaders must set examples and send out consistent communication around these aspects. 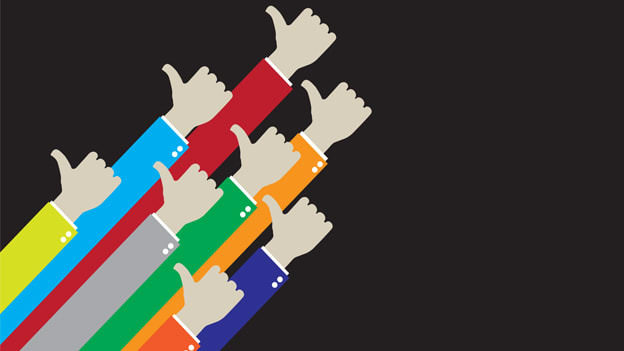 An important consideration for leaders is the balance between individual and team recognition. As work environments become more and more interdependent, collaboration is emerging as a key driver of success. Leaders and HR teams must account for this emerging trend in their recognition framework and strike a fine balance between competitive and collaborative behavior. Personalization – personalization significantly enhances the impact of recognition; managers need to know their teams well to understand the best way of recognizing their employees. There are many ways to recognize – conversations, emails, highlighting to senior management/peers, informal meal/coffee, personalized gifts, special assignments/training etc. Typically, individuals value public recognition and so this is the most commonly used technique to recognize. Establishing a culture of recognition is an evolving process. 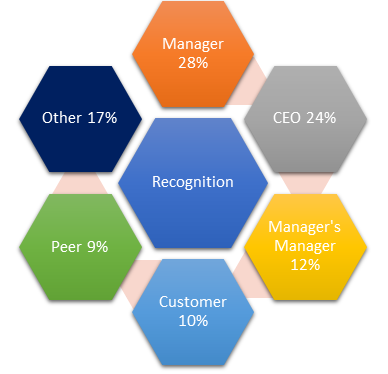 The follows methods may be used to understand how employees perceive recognition and if it exists at an optimum level in the organization. Exit interviews: Questioning existing employees about things they liked and disliked about the job often helps understand if he/she felt adequately recognized. -Do leaders and managers truly understand the importance of recognition and its relation to employee engagement, retention & performance? -Do leaders and managers have the necessary skills to appropriately recognize team members? -Are the standards of performance/recognition clear and consistent? -Do recognition practices reward the right people? This article is an excerpt from the author's book “Demystifying HR” available on Kindle. “Demystifying HR” is an attempt to explain HR concepts based on author’s experience as an HR practitioner across industries like manufacturing, IT and pharma. The approaches, suggested by the author, are industry agnostic and can be readily implemented or customized depending on the context.